This nothosaur fossil has been identified as a Lariosaurus sp. 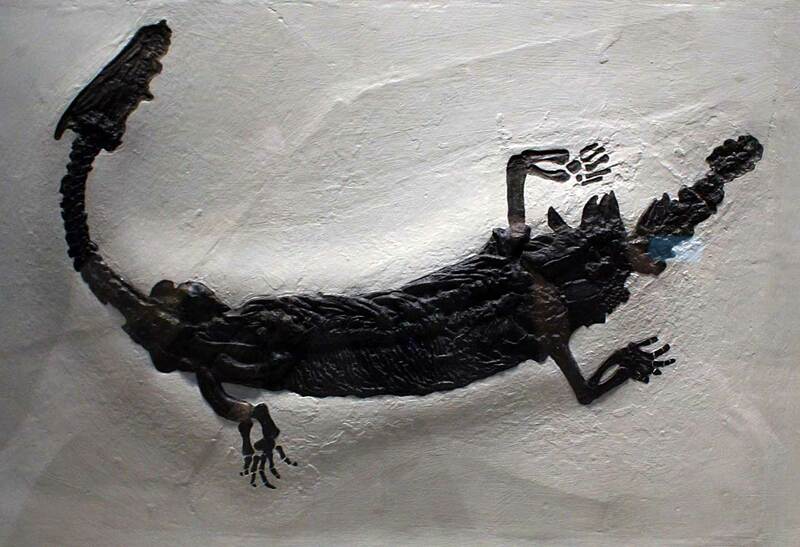 This animal swam in the Middle Triassic seas hunting for fish and other small sea creatures. They hunted similar to seals of today. The Lariosaurus died out in the Triassic (Mesozoic Era) but may be related to the plesiosaur marine reptiles that came later. Fossil displayed at the Carnegie Museum of Natural History in Pittsburgh, Pennsylvania (July 2011) and has the accession number is CM 8946.